18in x 12in place mats in 2 versions. 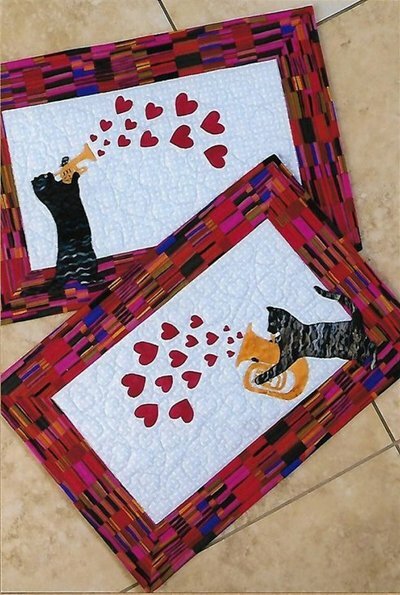 Simple fused and stitched applique tabby cats blowing their horns (tuba and trumpet) for Valentine's Day. Appliqued cats charm the hearts out of an appliqued trumpet and appliqued tuba.